Fruits and vegetables are important in our diet but how many times they should be eaten per day? Are carbohydrates good? What about eggs? Choose the best food to eat is quite important and know its nutritional properties is fundamental to know how to combine aliments in the name of balance. To properly fill in the shopping cart it can be quite useful to refer to the food pyramid: a framework divided into several floors or areas, each of them including several kind of foods with similar nutritional characteristics. Starting from the base we find foods that should be eaten more frequently. As you approach the top of the pyramid, those foods should be consumed in moderation. As solid foundations of an Egyptian pyramid are able to maintain the building over the millennia, even without the peak, so the food pyramid is important to maintain a good state of health all life long. 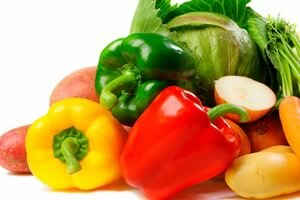 At the lower level, which we see fruits and vegetables, rich in water, fiber, vitamins A and C, minerals and antioxidants. To stay healthy everyone should consume at least 5 servings a day. After that we find cereals such as bread, pasta, rice and potatoes. Higher in the pyramid should not miss at least 2 servings per day of milk or yogurt, which provide as much as calcium is needed for bones and teeth. Central part of the pyramid includes foods rich in proteins, such as meat, fish, vegetables, cheese, eggs and sausages. At the top of our food pyramid we see food which should be consumed less than once a day. Here we can find sweets, salty snacks sugar drinks.